Dr. Kathyaini V S is a renowned fertility specialist, obstetrician, and gynecologist with 5 Years of experience. She practices at Apollo Cradle, Brookefield, Bangalore. 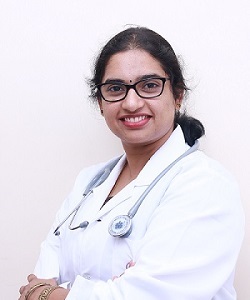 She completed DGO from VIMS Bangalore and MBBS from MSRMC and has a degree in Reproductive medicine. She is an expert in the diagnosis and management of reproductive problems.